Housing is raging as an issue right now. And the Government is feeling the heat. Ordinary kiwis are becoming upset that in the land of milk and honey more and more are without access to shelter, that most basic of human needs. The Government’s approach has varied. For a long time it refused to accept that there was a problem. More recently it has accepted that there is a problem but its favored solutions, selling state houses and paying social housing providers to keep providing existing beds, are not going to work. More recently it has hit on a new solution, blame Auckland Council. This new theory presumes that Auckland’s housing woes are all because of red tape. The intention to have something that resembles a compact city form is decried as heresy. The fact that most major advanced cities such as New York, Paris, London, Tokyo and Melbourne have developed urban form and the associated public transport opportunities as art forms does not matter. This new theory suggests that Auckland should aspire to the likes of Mexico City or Los Angeles. I know what I prefer. The rhetoric has been ramping up. Recently there have been suggestions that the use by the Government of commissioners in Christchurch worked out fine so why not in Auckland? And John Key has said that the Government would not sit back if Auckland Council did not deliver a workable Unitary Plan. The latest proposal from the Government that it should prepare a National Policy Statement to address housing shortages. Right now, I’m working on a National Policy Statement on Urban Design that will direct councils to resolve this question, and that is that they have to make provision for cities like Auckland to either grow up or out, and they can’t have this sort of dilemma where they put it in the too-hard basket; we block housing developments at the very time that we need more coming on stream. We’ve also got the crucial issue for Auckland, which is still functioning on 1993 planning documents, getting that new unitary plan in place, and that too is an incredibly important priority if we’re going to make a difference in the lives of the sort of people that you featured with Mike’s piece. There is “a fair bit” of land banking in Auckland, Prime Minister John Key says – and the council will soon lose the final say on freeing up land. Mr Key said land supply issues had been largely solved in Christchurch using the power of the Canterbury Earthquake Recovery Authority and commissioners. The Government was not considering commissioners in Auckland, but Mr Key told Radio New Zealand the decision to free up land would no longer end with the council. That was because the Government would soon release a national policy statement (NPS), possibly as soon as this week. It will require some councils to relax restrictions on where houses can be built. I dusted off my occasionally used copy of the Resource Management Act to get my head around what was involved in the creation of a National Policy Statement. I wanted to see if an enforceable NPS could be released this week. The procedure is contained in part 5 of the Resource Management Act 1991. The power is wide ranging. But the rules covering the establishment of a NPS are not simple. First the Minister has to invite comment from Iwi and other interested organizations. I presume Auckland Council would be one. He then has to prepare a proposed NPS as well as an evaluation report. After that he has to work out a judicial type process for hearings. The public and interested entities are entitled to make submissions and must be allowed adequate time and opportunity to make a submission on the statement. Then he establishes a board of inquiry. After this the board of inquiry works out how to receive submissions from the public. Then a hearing is held, the board makes representations via a report to the Minister and the Minister then considers the report and makes a decision. This does not sound like the sort of thing that could be finalized within a week. The NPS for renewable electricity generation took five years to complete. The NPS on indigenous biodiversity was started in 2011 and still has not been completed. I suspect that it will take more than a week for the proposed urban housing NPS to be completed. Part of the problem is the confusion caused by the Unitary Plan process. There is an expectation that intensification will be supported but until the Plan is actually published later this year nothing is certain and I am aware that some developers are trying to get applications through now while others are holding off until after the plan is approved. The other causes of Auckland’s housing problems are complex and diverse. Rampant immigration clearly pays its part. The global financial crisis and the destruction it caused to second tier lenders and on building firms reliant on them for funds played its part. And builders have for the past decade spent huge amounts of money and time fighting off leaky home claims. This cannot have helped the confidence of the industry or its ability to build houses. Will a housing NPS help? Maybe. But not for a while. It would be better for the government to focus its efforts on building houses than to try and blame Auckland Council for a problem the Government has to accept its share of the blame for. 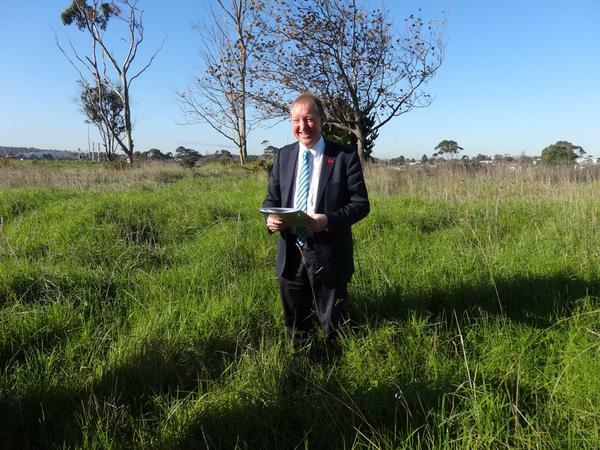 A Government order requiring councils to free up land for housing will be released this week and could be live by October, Housing Minister Nick Smith says. The Government’s national policy statement on urban development wouldn’t be “a magic bullet”, Smith said, but it was part of wider efforts to tackle housing pressures in Auckland and elsewhere. The order could force councils to link planning decisions to local house prices, and even local incomes. Smith said the policy statement had “gone to the printers”, and would likely be released on Thursday after consultation with local government leaders. It would not solve Auckland’s housing problems by itself, but was part of a “considered and consistent approach” to New Zealand’s housing issues, Smith said. The document would not override the Auckland Council’s work on a unitary plan which could make changes to planning rules, but would act as a “buttress” if the council decided against following the recommendations of an independent hearings panel working on the plan. The timeline appears to be awfully optimistic. And the Government’s messaging is shall we say mixed. Nick Smith I don’t live in America. I don’t want to live in America. I have been there. I don’t want to copy America. Americans are coming to live here because they don’t like America. I like the way we are different from America. We are our own unique country. Thanks to John Key your government are trying to turn us into a mini America. Your Government are responsible for the Housing crisis by privatising everything.